After the great success of MUSEUM OF MONSTERS, WELCOME TO WEIRDSVILLE and THE GHOULIEWOOD STUDIO TOUR An Unlikely Story and Walpole's Summer Stage Theater Program are once again bringing a brand new unique haunted attraction to life, HALLOWEEN WITH THE BOGHOBLINS. You never know who will come trick or treating when you spend the evening with the Boghoblin family in their mysterious mansion. There will be uninvited vampires, prehistoric fish men, private eyes, frightening food, and a whole bunch of monstrous fun in this collection of spooktastic tales and sketches. All attendees must register. 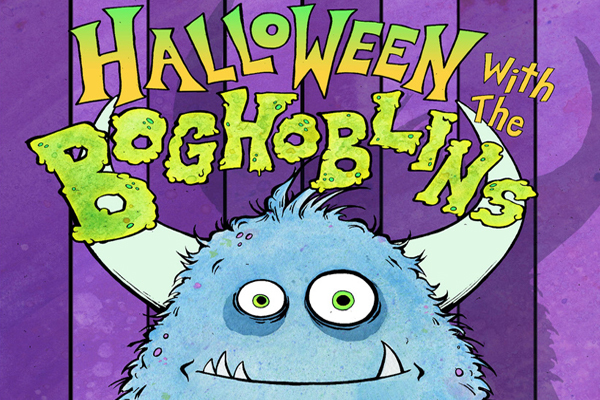 HALLOWEEN WITH THE BOGHOBLINS is recommended for ages 6 and up. Attendees should arrive ten minutes prior to the show time they registered for.